The new work of German architect and interior designer Thilo Reich evokes urban ambience in the dynamic and intimate space of Berlin Bar in Moscow. 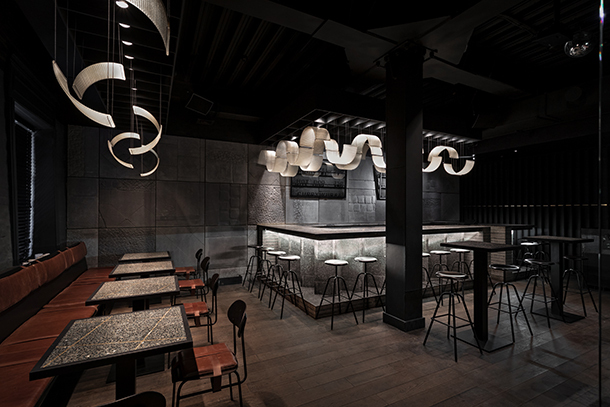 Known for the popular venues Bar Saint Jean and The Coven, Reich focuses on details and contexts of locations, looking to design spaces that fuse modernity, comfort and culture. 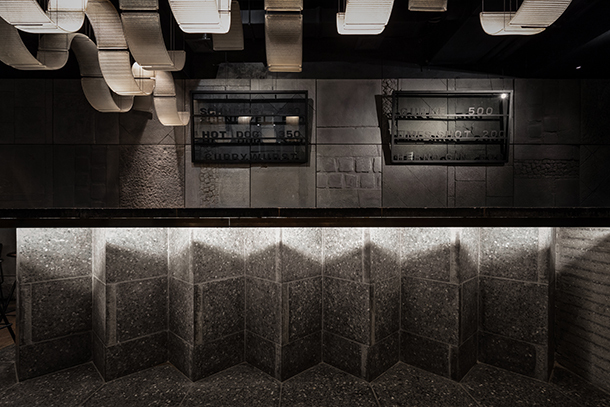 Concrete is a recurring theme in Reich’s Berlin Bar. The dark atmosphere, wooden flooring, and soft lighting create an inviting space. The textured walls subtly indicate Reich’s variety and scope. The brown leather benches bring warmth and comfort that softens the edges of the sculptural concrete bar. 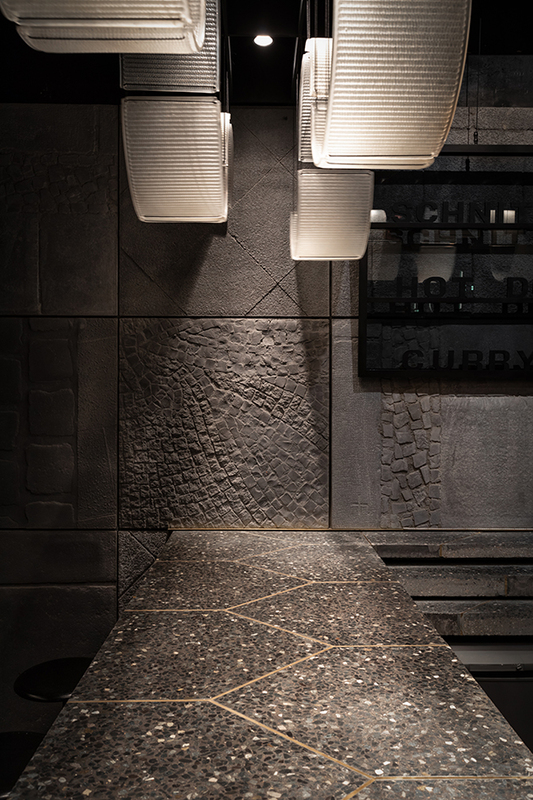 The curving light-shades, formed by parts of streetlights in East Berlin, offsets the solid, uniform steps of the bar counter’s base. These design choices disguise the ceiling height, casting the boundaries of the bar in ambiguity. In a bar composed of traditionally exterior materials, nothing appears out of place in the interior. 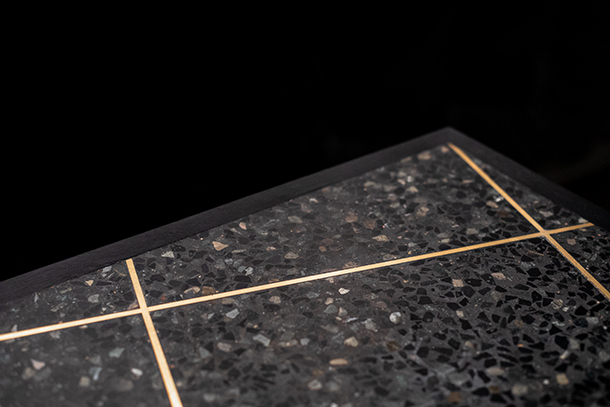 Instead, each construction interconnects harmoniously in a settled and well-worn atmosphere that reflects their origins. More than simply transplanting an atmosphere of Berlin into a small space in Moscow, the bar explicitly connects the cities through the historical context of the concrete walls. Comprised of castings of various Berlin street pavements, each wall section is a deliberate link to the current and former Russian presence in the city. The castings span from the pavement outside of Café Moskau, once the demarcation between the American and Russian sectors during the Cold War, to the sidewalks of the traditionally Russian Charlottenburg district, encasing the bar in the exact textures experienced by countless pedestrians in the German city. Berlin Bar thereby brings a historical record, little-noticed yet in constant contact with the city’s people, directly to Moscow, connecting the cities physically in a grounded reflection of historical ties. Thilo Reich uses the building blocks of the past to build the present, and perhaps create new waves in the future of architecture. Berlin Bar is both a celebration of moving forward and an acknowledgement of the events that have already passed. To experience the setting, head to the Berlin Bar page for more.